The third through fifth grade students of the month were (L to R): front row: Annabel Teter, Karley Barker, Landon Sears, Eric Beers, Carley Furniss, Colin Clarke, Lexi Smith, Kelsey Hickman and Gabe Denney. Middle row: Koralyn Kosanke, Eyan Taulbee, Jeslin Ruth, Brenna Sword, Brody McBee, Nora Morrison, Alison Carter, Anthony Shipley, Macy Lewis and Mariyha McDaniel. Back row: Mya Babineau, Lynnie King, Cailee Cox, Cameran Silbach, Lincoln Jester, Darrien Mason, Luke Armstrong and Ta’kyia Yahn. Not pictured: Hallie Penwell, Taegan Wood, Karina Hoover and Rakeya Benson. Miami Trace Elementary School announced its students of the month for December recently. The Pre-K through second grade students of the month were (L to R): front row: Gracie Caldwell, Emma Kearns, Alexia Morse, Savanna Szczerbiak, Gage Lenigar, Aria Merritt, Miranda Cauldill, Jerezmay Williams, Emily Homola and Sophia Morse. Middle row: Drayden Gleason, Krystal Duffey, Bella Knisley, Gracie Swaney, Alis Leisure, Sophie Hollis, Preston Green, Madison Seymour and Piper Harris. Back row: Delilah Gonzalez, Evelyn Carnahan, Zeller Kirkpatrick, Kai Riojas, Tyler Brown, Carson Hawvermale, Chloey Smith, Karsen Kegg, Maddix Mcquire, Carter Kunka and Graham King. 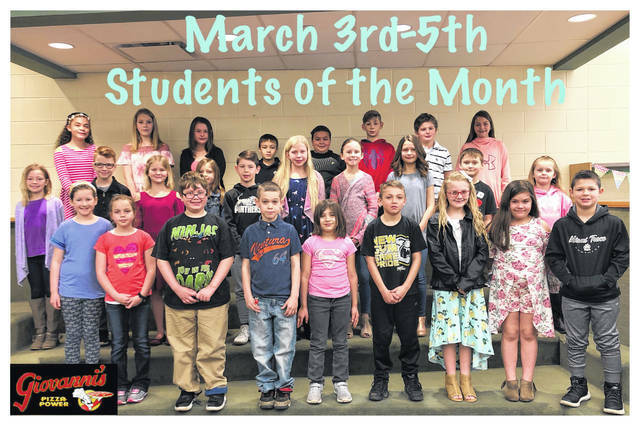 https://www.recordherald.com/wp-content/uploads/sites/27/2019/04/web1_3-5.jpgThe third through fifth grade students of the month were (L to R): front row: Annabel Teter, Karley Barker, Landon Sears, Eric Beers, Carley Furniss, Colin Clarke, Lexi Smith, Kelsey Hickman and Gabe Denney. Middle row: Koralyn Kosanke, Eyan Taulbee, Jeslin Ruth, Brenna Sword, Brody McBee, Nora Morrison, Alison Carter, Anthony Shipley, Macy Lewis and Mariyha McDaniel. Back row: Mya Babineau, Lynnie King, Cailee Cox, Cameran Silbach, Lincoln Jester, Darrien Mason, Luke Armstrong and Ta’kyia Yahn. Not pictured: Hallie Penwell, Taegan Wood, Karina Hoover and Rakeya Benson. https://www.recordherald.com/wp-content/uploads/sites/27/2019/04/web1_k-2.jpgMiami Trace Elementary School announced its students of the month for December recently. 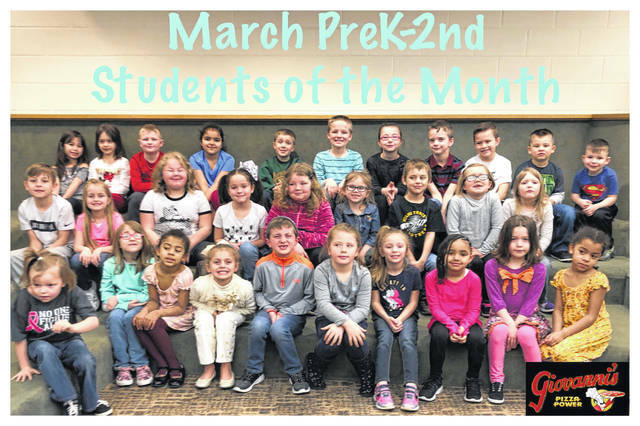 The Pre-K through second grade students of the month were (L to R): front row: Gracie Caldwell, Emma Kearns, Alexia Morse, Savanna Szczerbiak, Gage Lenigar, Aria Merritt, Miranda Cauldill, Jerezmay Williams, Emily Homola and Sophia Morse. Middle row: Drayden Gleason, Krystal Duffey, Bella Knisley, Gracie Swaney, Alis Leisure, Sophie Hollis, Preston Green, Madison Seymour and Piper Harris. Back row: Delilah Gonzalez, Evelyn Carnahan, Zeller Kirkpatrick, Kai Riojas, Tyler Brown, Carson Hawvermale, Chloey Smith, Karsen Kegg, Maddix Mcquire, Carter Kunka and Graham King.